Luna Park will open an ‘eggs-hilarating’ new ride this Autumn, and will host an 'eggs-citing' egg hunt too. 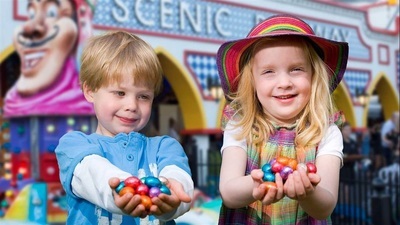 The Autumn school holidays kick off at Melbourne's much loved amusement park on Good Friday, 30 March with The Great Luna Park Easter Egg Hunt. The weekend of chocolate egg hunts will run from Good Friday to Easter Sunday. Easter egg hunts are free for those who purchase an Unlimited Ride Ticket. 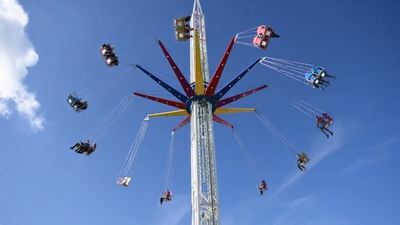 But it isn't all about Easter eggs this Autumn, with a brand new thrilling ride opening at Luna Park for a limited time. Space Jam is more than double the height of the Scenic Railway and rotating 12 times every minute, Space Jam will elevate all your expectations as you ride the sky! Height restrictions: 120cm minimum. Space Jam will only be in the park until 15 April, so you better hop to it and get yourselves down to Luna Park quick sticks. When: From Good Friday 30 March to 15 April 2018.